A healthy diet, in combination with keeping active, is an important part of living your life to its fullest potential. Making optimum choices in your diet can help maintain a healthy body weight and also keep blood cholesterol levels, blood pressure, and stress levels down. In other words, long term it helps to reduce the risks of cardiovascular diseases, diabetes, strokes, and cancer types. Everybody’s number one excuse is “time.” People are seemingly more inclined to jeopardize their health, than take a few minutes of their spare time to plan ahead. With a little attention to detail, we could learn many ways you and your family can incorporate healthy eating into your daily lifestyle. Tips On How To Improve & Plan Ahead. Breakfast is essential. It maintains and sustains your energy levels, memory, concentration, and alertness throughout the day. Also, its easier for your body to burn fat by keeping your metabolism at a fast pace and keeping your hunger in line each day. 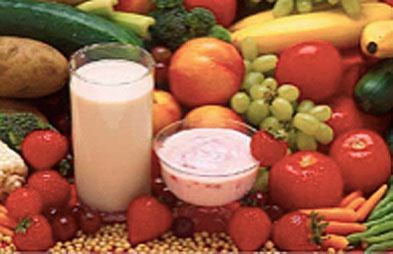 Some healthy choices include low fat/Sugar yoghurt with fruit, oatmeal with raisins and almonds, fruit smoothies, grilled tomatoes on whole grain toast, or a vegetable omelette. Try to make your meals at home on the weekend, planning for the coming week. Doing this helps you to know exactly what is going into your food and enables portion control. For example, when cooking double your quantity so you can portion meals to freeze and have food available during the week for lunch, or home waiting for you after a long day. Keep snacks on standby, such as fresh, frozen, canned, or dried fruits and vegetables. These are also great additions to simple meals to account for your 5 a day portions of fruit and vegetables. If resorting to restaurants, opt for non deep-fried dishes, vegetable based sauces and dishes, grilled lean meats and whole grains. When selecting snacks from a market or grocery store, read nutritional labels and opt for low fat/sugar/calorie/ingredient, and sodium alternatives. Set aside time for your meals/snacks, just a couple of minutes, without any distractions such as TVs, books, and smartphones. Eating while distracted leads to overeating and not enjoying our food. Bring healthy snacks to work such as nuts, seeds, low fat/sugar yoghurts, canned fish, rice cakes, whole grain breads, and unprocessed breakfast cereals like oats, bran, barley and wheat. These are great sources of B Vitamins, and when combined with Vitamin C will aid in the absorption of iron. Good sources of Vitamin C are citrus fruits. Prepare meals in bulk. If you’re cooking for two people, double the quantities and make enough food to accommodate four people. This way you will have ready made meals in the fridge, freezer and pantry to consume at a later date. Check out this video/article that explains how to make a healthy breakfast in bulk. Keep hydrated throughout the day. Have a 1.5 litre bottle of water at your desk and try to finish it before work ends. If you don’t like the bland taste of water then add a slice of lemon or lime. Frequent urine output, and pale in colour indicates good hydration. Workers who enjoy an active lifestyle and follow a healthy diet are less stressed, more energized, productive, and take less sick leave, not to mention prolonging their opportunities to spend enjoyable time with their family and friends. Whats the bottom line ? Remember – small gradual changes improve our chances of long term success.